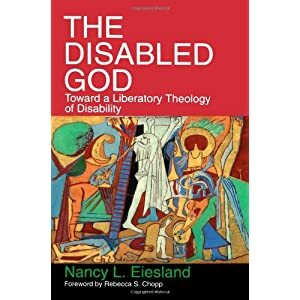 This work began as Nancy Eiesland’s master’s thesis, but eventually became a classic work in the area of theology and disability. At less than 120 pages of text, it functions essentially as a programmatic call to rethink assumptions, practices, and theological models that are harmful to persons with disabilities. The actual constructive theological proposal is very brief, but the issues that Eiesland raises continue to give rise to other important theological reflection and proposals. September 2, 2010 in disability, Disabled God, Eiesland, liberation theology, theology. gardens are technically in Fort Worth, Texas, it is only a short drive.